Severe weather patterns - storms, floods and strong winds - are sweeping across planet Earth. Against this backdrop, three high school students, known and tormented for their strange abilities, fight their own battles against school bullies. 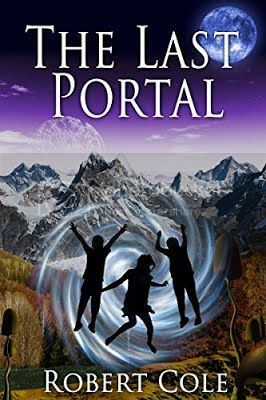 The discovery of a strange key by their leader Chris Reynolds plunges all three through a portal into a sister world, Cathora, in another dimension. In this world, their behaviours, that labelled them as misfits on Earth, turn out to be the seeds of extraordinary powers. They soon meet Batarr, the Guardian of the portal. He tells them they are not normal children, but are part of a group of six entities called Mytar who are periodically seeded throughout the dimensions to fight planetary invasions across these portals. Cathora has been invaded by an alien army, led by a creature known only as Zelnoff whose next target is Earth. The Mytar alone have the power to stop him if the other Mytar on Earth can be found. There ensues many struggles and battles as Chris, Susie and Joe seek to evade Zelnoff’s forces long enough for their powers to develop so they can detect the remaining Mytar back on Earth. As the first rays of sun filtered through the tree canopy, Batarr’s forces assembled on the planet’s surface. They had emerged from a narrow, moss-lined tunnel had been chiselled between two sandstone rock outcrops. Compared to the underground complex, the surface was a cold and windy place. A light dusting of frost clung to the ground and the wind whistled and tore at the gathering company. To ward off the cold, the Mytar had been fitted with garments that had been soaked in oil derived from the boiled skins of warm-blooded fish. This oil was renowned for its unique properties. In the cold weather it solidified, sealing in the body’s warmth, while in hot weather it softened, allowing the skin to breathe. Chris flexed his arms, twisted and crouched down into a squat. His clothes seemed to flex and mould themselves to fit the changing shape of his body. He pulled the hood of his jacket over his head and sniffed at the strange oily smell of the fabric. “They’re made from the finest material in the land.” A deep, resonating voice jerked Chris out of his preoccupation with his clothes. Chris looked up at a man over twice his size with dark, intense eyes buried above high cheek-bones and a long tapering jaw. “I’m Altac, Leader of the Guard,” the man said. Altac smiled, and Chris noticed a pink scar running from the side of his mouth to the corner of his jaw. “I’m Chris,” he replied, feeling rather small and insignificant. Altac brushed back some of the long curls of black hair that trailed down to his shoulder and bowed in what Chris assumed was this world’s version of a handshake. Chris smiled uncertainly, trying with his new found talents to catch something of Altac’s thoughts. He read admiration, mixed in with surprise at how young and small the Mytar were. Like so many of Batarr’s soldiers, Altac thought that the Mytar had volunteered to come and save Cathora from Zelnoff. Chris swallowed back some of his guilt, thankful that Altac hadn’t witnessed their behaviour when they first arrived. Altac’s smile slid away. “I suggest yourself and your fellow Mytar travel in the centre of the company, where you will be best protected at all times,” he said, in a more solemn tone. Chris nodded. Mingled with Altac’s admiration, he picked up the concern for their vulnerability. By this time Susie and Joe had appeared. 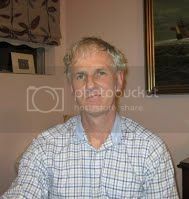 Chris noticed that both their eyes widened at the sight of this man. He wore what appeared to be a chest plate made of thick hide and metal, and a long dagger was strapped to his hip. Slung over his shoulder was the same weapon Chris had seen Zelnoff’s soldiers wearing in his vision. It looked a bit like a rifle, Chris thought, except it was shorter and bulkier. Altac greeted Susie and Joe with the same politeness he had shown Chris, bowing respectfully at each of them. Joe circled Altac, paying particular attention to the weapon that hung by his side. Chris rolled onto his side. In front of him, the mountains towered into the clouds like a series of giant, white coated, metal spikes. The wind had dropped and the sun was beginning to break through the clouds. The warmth was magical. He crawled on his hands and knees higher up the beach, shivering uncontrollably in his wet clothes. Waves of exhaustion swept through him as he collapsed on his back. The rays of sun on his skin felt marvellous. He closed his eyes and thought he would sleep for just a moment.